WordPress web design is currently the content management system of choice as far as Dark Sea Web Design is concerned and we would highly recommend its use for blogs, as well as personal or business websites. It is used by more than 20% of the websites on the Internet and as such can lay claim to being the most popular open source content management system in the world. Starting out initially as mainly a blogging platform, WordPress has now developed into an extremely effective tool for building both attractive and highly effective websites. 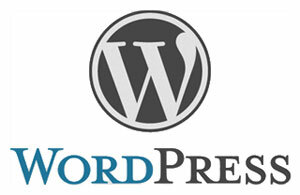 Features of WordPress include a plug-in architecture and a template or theme-based system. WordPress is highly stable and continually being developed meaning that your website or blog can always be up-to-date just with a few mouse clicks. Even in its basic form using a simple theme, WordPress is very SEO friendly and in the hands of an expert, extremely so. For this reason alone it is highly recommended. Dark Sea Web Design can completely customise your new WordPress website or blog to suit your taste and your needs and really maximise the potential of WordPress and help rank your new site well on Google and the other top search engines. We can advise you on updates, plug-ins, backups and other important factors in the long-term management of a WordPress site.